Chevy Colorado Stripes, Chevy Colorado Decals, Chevy Colorado Vinyl Graphics, Colorado Decal Kits and Body Striping Kits. 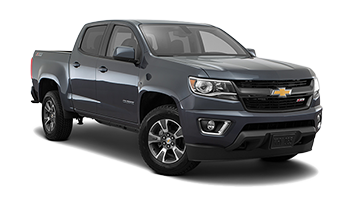 Are you looking for Chevy Colorado Stripes, Chevy Colorado Decals, or Chevy Colorado vinyl graphics for your new 2015 2016 2017 2018 and 2019 Chevy Colorado? Below you'll find a wide variety of Colorado graphics, Colorado hood decals, Chevy Colorado body stripes, Chevy Colorado hood stripes, and Chevy Colorado racing stripes for the model years indicated. Buy Chevy Colorado Stripes and Chevy Colorado Graphics Kits! Featured here at MoProAuto you will find the ANTERO : Chevy Colorado Rear Truck Bed Vinyl Graphics Decals Stripes Kit, the CRESTONE : Chevy Colorado Front Grill Accent Vinyl Graphics Decals Stripes Kit, the GRAND : Chevy Colorado Rear Tailgate Blackout Accent Vinyl Graphics Decals Stripes Kit, the RAMPART : Chevy Colorado Lower Rocker Panel Accent Vinyl Graphics Package Decals Stripes Kit, the RANTON : Chevy Colorado Lower Rocker Panel Accent Vinyl Graphics Package Decals Stripes Kit, the SUMMIT: Chevy Colorado Split Hood Vinyl Graphics Decals Stripes Kit. Choose one of these popular vinyl decal styles today!